On Wednesday, January 26, 2011, five women got together to plan what might be a good event for the WELCA “Bold Women” Sunday event on February 27th. In attendance that night was Pastor Lynne, Ardene Ejnik, Stephanie "Steve" Yager, Rebecca Rangel and Laura Olson. Quite quickly the group came to realize just what a good mix God had brought together as they had a wide spectrum of inspirations and experiences to reflect upon! After sharing who inspires them and thier experiences as women, they came to some conclusions, the first being that "Bold" Women's Day” might not be the right name for this group. 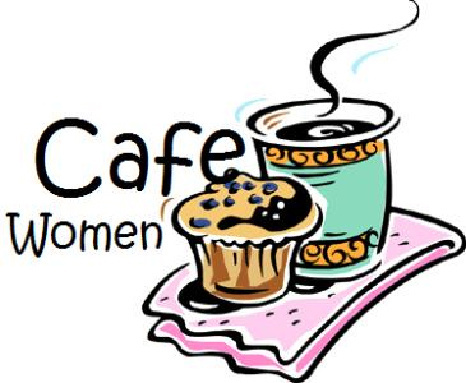 They came up with a new name – the "CAFE" Women's Group - A Community of Affirming, Faithful and Enlightened Women. The second conclusion was that the CAFE Women's Group would start out as a women's prayer group that will meet the first Wednesday of every month, beginning after the formerly known “Bold Women's Day” of February 27th. Each woman is so unique and can add so much! The CAFE group has evolved into other areas of support and community for the women of Messiah, and continues to meet to share inspriation and faith with each other. So many ideas so many wonderful women to be inspired by and grow with, the possibilities are endless!